aged 9 years & 7 mos. 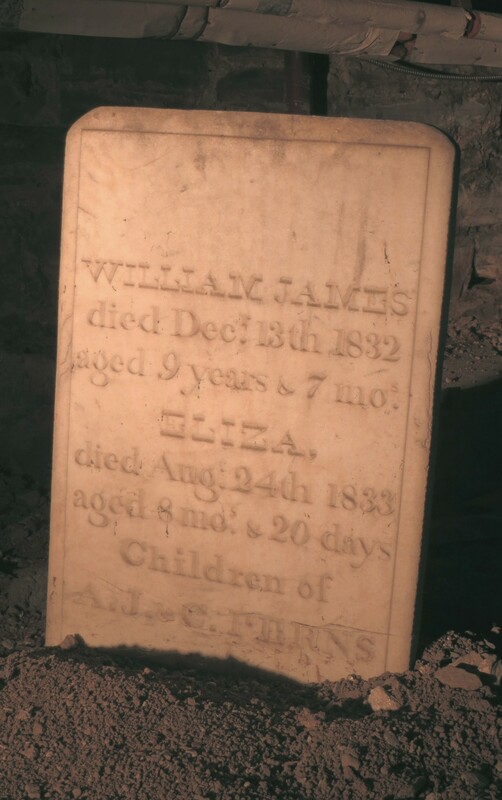 There are five children of the Ferns family buried under the church hall: Christianna (Christina Walker) (d 1828, 8 mos), Alexander John (d 1830, 1 yr), Christianna Sarah (d 1832, 1 yr), Wiilliam James (d 1832, 9 yrs), and Eliza (d 1833, 8 mos). They died in a 5 year period before their father, Alexander John Ferns committed suicide in 1835.